This is the second post in our History of GFHEU series. Read the previous parts here. We’ve arrived in the year 2012, just in the time for the end of the world. Back then gaming on mobile devices was quickly becoming more popular and the Samsung Smart Window was all the rage. Remember when everyone thought that would be the next big thing? 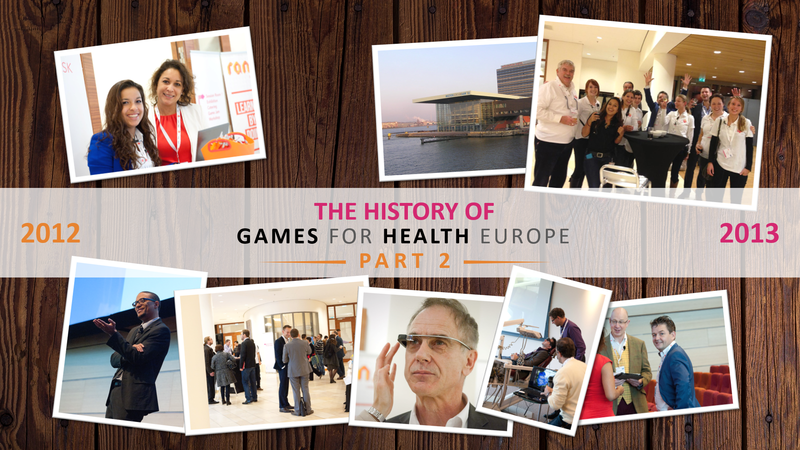 In November, we returned to Amsterdam for the second edition of the Games for Health Europe conference. The second conference covered 3 floors of a concert hall in Amsterdam where more than 70 speakers shared their views on the future of technology and healthcare. Of course, serious games had a huge presence at the conference as well, some examples of which can be seen here. Among other things, Bill Crounse from Microsoft also talked about the potential of using the Xbox Kinect within the healthcare industry. Again, the conference was a resounding success. So when it turned out that the world wouldn’t end, we started planning for the future. What dreams may come? In the time leading up to the next conference, we organized a DEVcamp to develop new creative solutions for the healthcare industry. This resulted in the creation of several games, including a life mangement game. For Jurriaan this harkened back to the old days of making games himself. It also allowed our community to really leave their mark on the industry. 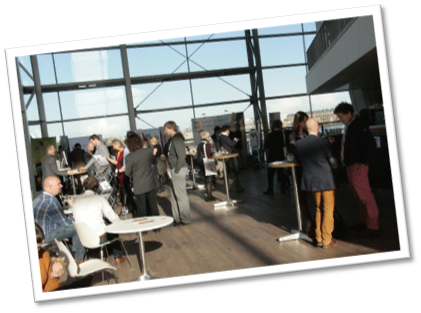 Later that year we relocated to the KMPG office in Amstelveen for the third edition of the GFHEU conference. The conference again covered a variety of topics like parental mediation of video game play. 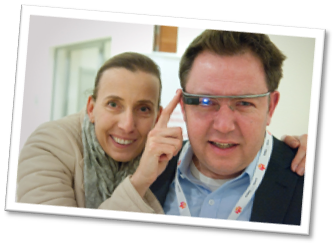 Wearables were a big thing this year as well, with the introduction of Google glass and VR headsets. Another addition this year was a conference track which explored research on healthcare and game design. The focus was slowly shifting from showing people the potential of serious games and gamification to supporting industry growth through scientific proof. This will play an even bigger role in our upcoming 2018 conference with the theme ‘prove and move’, but that is a topic for another day. Stay tuned for future posts where we will cover every year leading up to the 8th GFH conference. Continue reading with part three of the History of GFHEU.